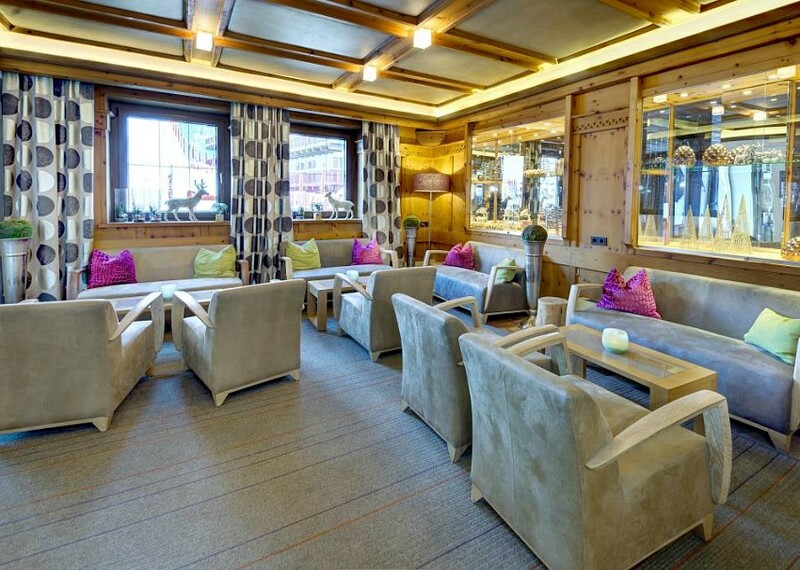 Located in the heart of Saalbach with skiing practically back to the Hotel door, the 4* Superior Hotel Kendler is a modern, design Hotel with extensive Spa Area and an excellent reputation for its award-winning cuisine and service. The nearest lift (Bernkogel) is less than a minute’s walk from the Hotel, the ski school meets within 100 metres and Saalbach’s high street with its shops, cafes and bars is on the doorstep. Flexible stays and weekends can be booked at this Hotel outside of the high season and the Hotel offers special rates for ‘Reverse Weekends’ – Sunday to Thursday. 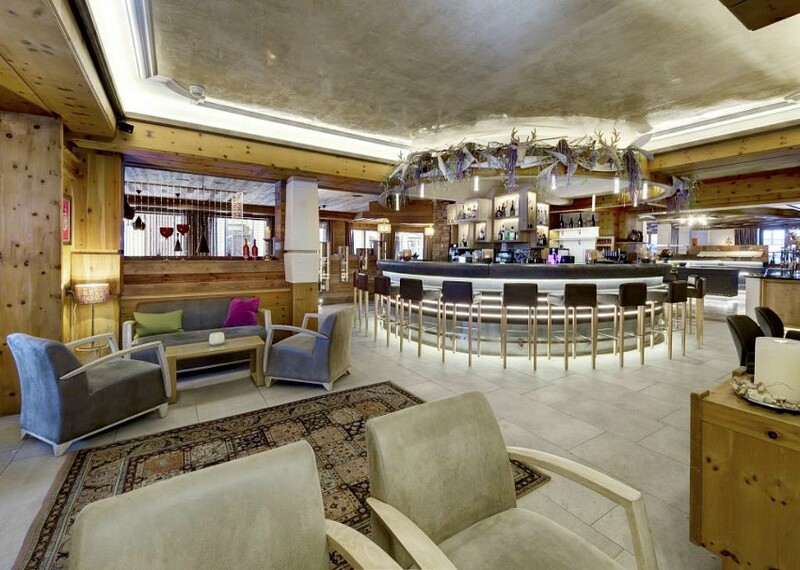 hotel has a lobby reception area, spacious and welcoming Hotel bar and lounge, stylish furnished dining rooms, conservatory, sun terrace, fitness studio, lifts, ski and boot room with a locker for each room and free WiFi. 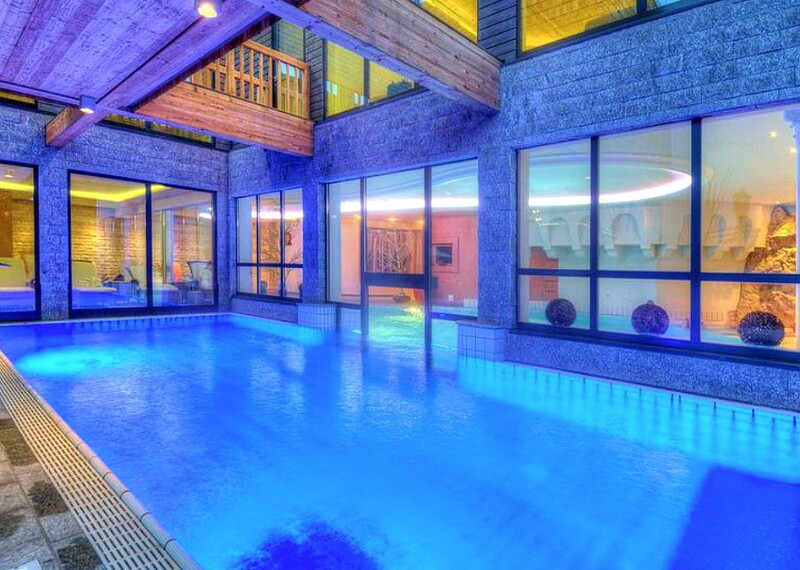 The Pool and Wellness Areas (an impressive 1200 m2 in total) have been recently renovated to the highest of standards and offer an indoor pool with swim-through to the outdoor pool, a number of different indoor saunas, steam room, outdoor sauna and two themed relaxation and chill-out areas with loungers and seating. 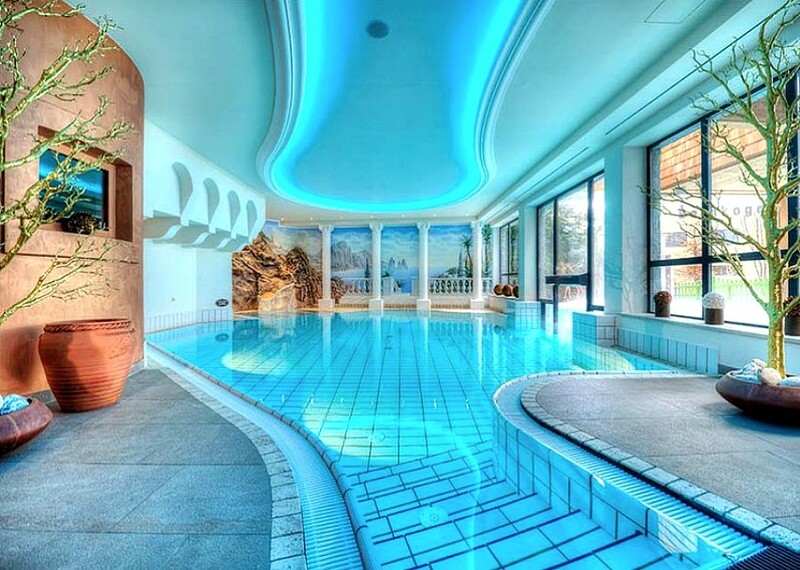 Massages and beauty treatments can also be arranged (local charge). 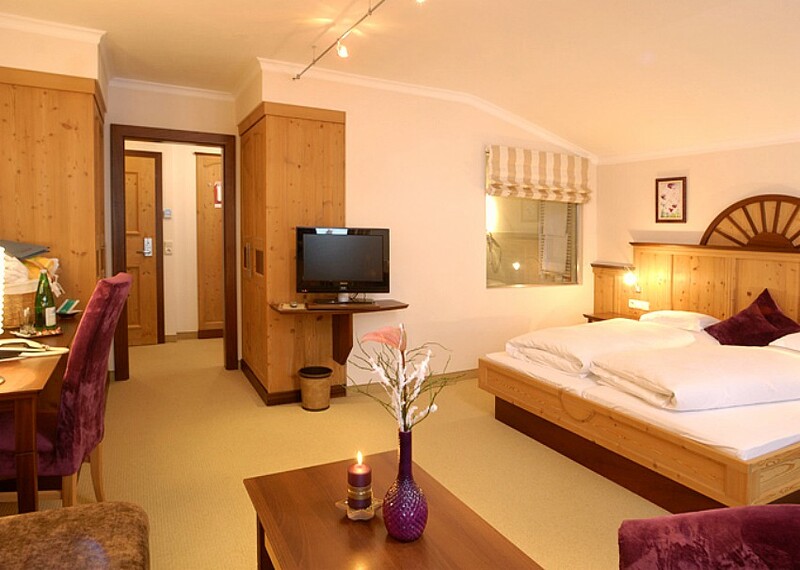 All rooms are ensuite with Cable TV, safe, hairdryer and free WiFi with a number of different room categories on offer. Most rooms have a balcony. Standard (20m2) and Classic (25m2) double rooms are traditionally decorated, some with balcony. Double room Deluxe (25m2, 3rd image) offers a more contemporary design in the rooms and bathrooms with the Comfort Double room Classic (32m2, bottom image) a more modern take on the standard rooms. Junior Suite rooms offer more living space (38 m2) with the JS Classic offering a classical Austrian room interior and the JS Deluxe a much sleeker, designer feel. Deluxe Suites (44m2) and Comfort Suite Deluxe (48m2) offer the largest rooms both of which are in a modern, contemporary design. Junior Suites and Suites all have balcony. With the exception of the Double Standard and Classic rooms (Austrian Twin / Double beds), all rooms offer the possibility of separate beds on request. 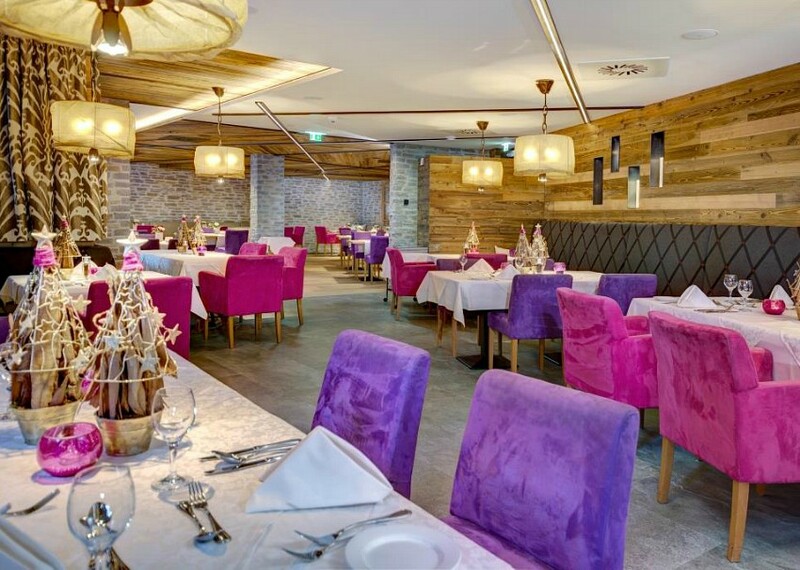 The Hotel Kendler offers award-winning cuisine with ingredients predominantly sourced from local suppliers. Accommodation is on a half board plus basis which includes an extensive hot and cold breakfast buffet (including a late-riser’s option), afternoon skier’s snack buffet of hot and cold treats, hot and cold, soft drinks from the drinks buffet and a five course evening meal with several menu choices including a salad buffet. The Hotel also offers weekly themed buffet evenings showcasing local and international cuisine. 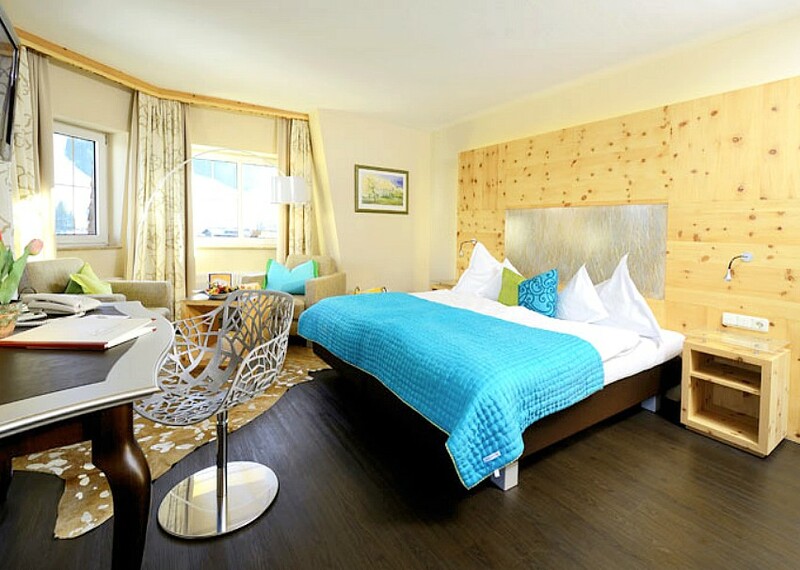 Family-run and owned with the perfect mix of contempory and traditional Austrian design, the Hotel Kendler is one of Saalbach’s premium Hotels enjoying an enviable location in the resort centre. 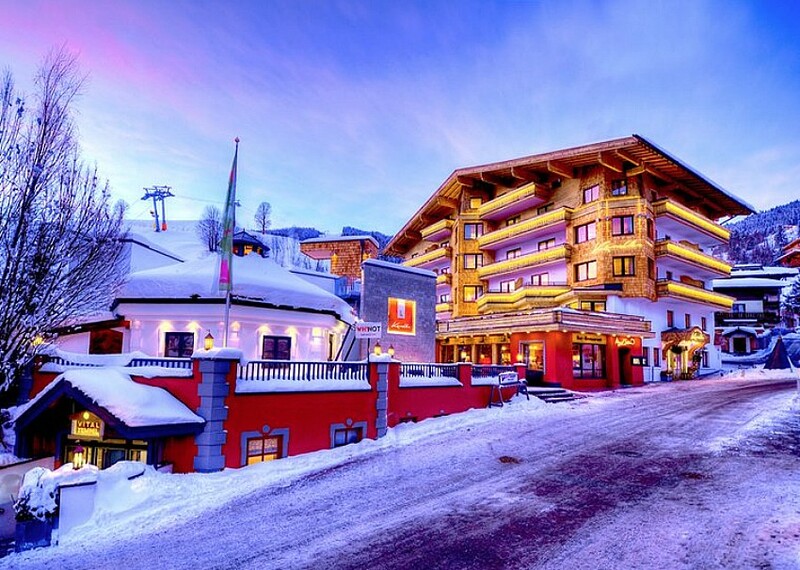 The Deluxe styled rooms are of the highest quality, the food excellent and the Spa and Wellness area the perfect spot to unwind at the end of your skiing day.